Nestled on a generous 0.73 acres in the incredible McAllister Park Community, this Lacey treasure is an absolute delight to come home to! Boasting stylish design and meticulously maintained spaces both inside and out, this 3,080-square-foot residence shows off easy living at every turn. With 3 bedrooms (including a main level master suite! 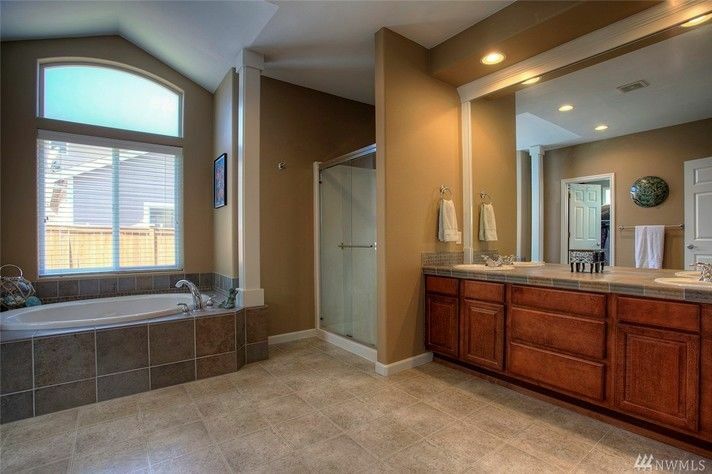 ), 2.5 baths, a 3-car garage and much more, this dreamy home is conveniently move-in ready. 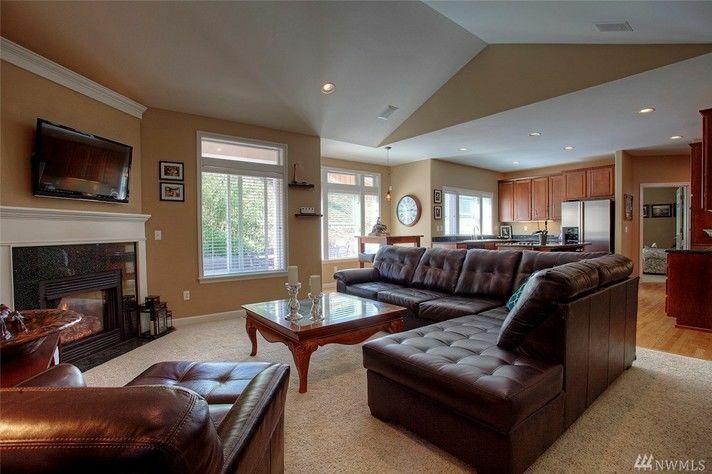 Located at 9245 Piperhill Dr SE Lacey, WA 98513 near Joint Base Lewis-McChord, this home is listed for $475,000. Built in 2004, this contemporary residence welcomes visitors with eye-catching landscaping and a smart exterior. Immediately upon entry, shimmering oak hardwoods usher you inside to discover an entertainer’s paradise! To the right, a formal living room awaits, and to the left, a formal dining room is ready for dinner parties and holiday gatherings. Elegant wainscoting, recessed ceiling details, and wide windows bathe each space in cheerful, natural light. 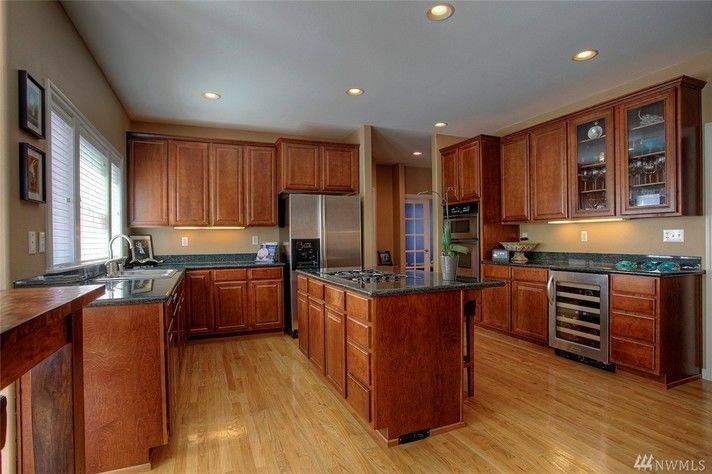 Just in through the dining room, the kitchen opens up to reveal a welcoming, open-concept floor plan. Generous granite counters show off plenty of room for meal prep, while rich custom cabinets ensure there’s plenty of storage. Stainless steel appliances offer ease and efficiency, while bar-style seating at the kitchen island and even a dining nook provide a casual spot to enjoy meals at. The adjacent open living room shows off sophisticated details, like a stately fireplace, tall vaulted ceilings, plush carpets, crisp white trim, and of course, tranquil views outside. When the sun comes out, your very own outdoor oasis awaits! Featuring an expansive concrete patio, this dynamic space is ready for fun, play, and relaxation. 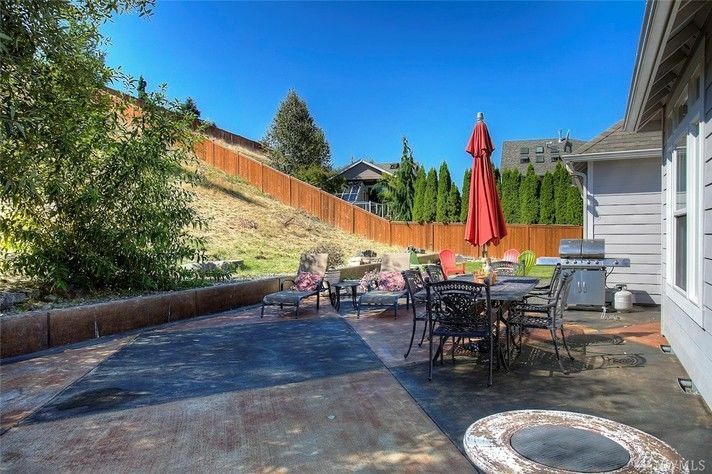 Plenty of room for patio furniture and a barbecue promises days of hosting backyard get-togethers, and a fire pit is ready for s’mores and good times gathered around the warmth of a fire. Raised garden beds, an irrigation system and lighting are ready for you to enjoy as well—garden to your heart’s content, as there’s plenty of room for flowers, a vegetable garden, and beautiful, park-like landscaping! 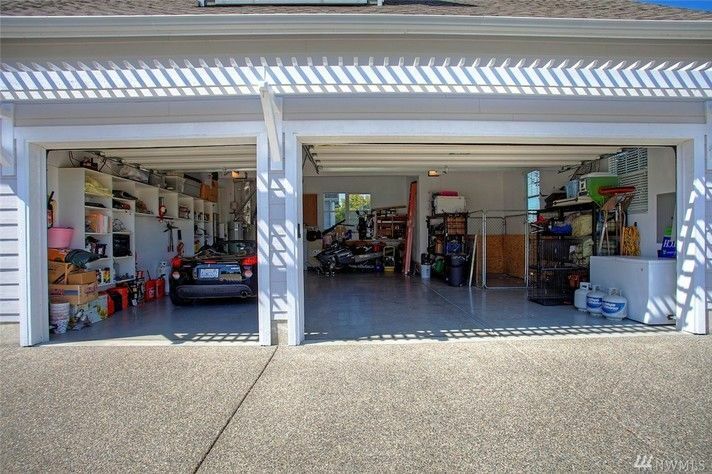 Plus, you can store all of your outdoor toys in the sizeable 3-car garage. Unwind and rejuvenate in the main level master suite, a haven of privacy and luxury. With room for a sitting area and featuring a 5-piece ensuite bath and walk-in closet, this indulgent space is ready for spa-worthy relaxation time. A soaking tub boasts views outside, while stylish tile, a calm neutral color palette, and vaulted ceilings contribute to the resort-inspired feel of it all. Additional bedrooms offer privacy as well, an an office and a bonus room with a wet bar provide even more space and convenience! Located near the state capital of Olympia, the city of Lacey in Thurston County is a popular choice for those who commute to Olympia or the nearby Joint Base Lewis-McChord. Lacey is home to a long list of amenities and conveniences, including many shopping centers, a movie theater, and the popular Cabela’s. 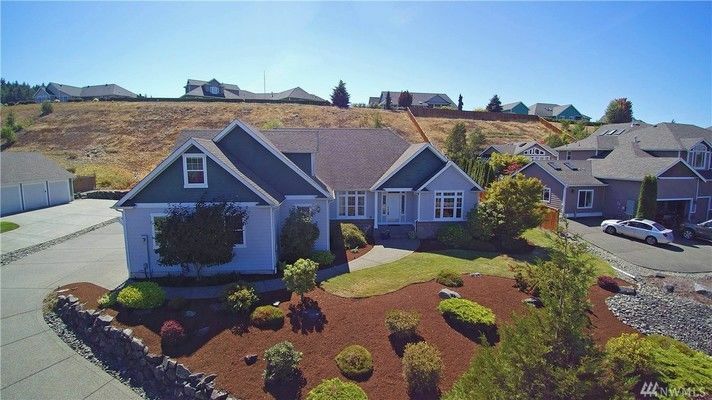 At 9245 Piperhill Dr SE Lacey, WA 98513, you’re a quick 9-minute drive to Interstate-5, making it easy to head south to Olympia or north to Tacoma and Seattle.